TALL buildings or skyscrapers are continuing to fill Jakarta’s skyline. While tall buildings in the capital city previously comprised hotels and office buildings, now “vertical residences” or condominiums are growing in number. Indeed, most Jakartans still prefer living in landed houses, but it is highly possible that in the not-too-distant future living in an apartment will become more common due to limited land availability. Therefore, apartments are simply a solution to the problem of limited land in Indonesia’s major cities, especially in Jakarta. Podomoro City general marketing manager Alvin Andronicus said that the people of Greater Jakarta had to get used to the idea of living in apartments, and when they did, the market segment of apartments and condominiums would expand. It would also be a solution to the problem of limited land availability. “Living in an apartment is actually more practical and is less costly. Apartments are closer to centers of activities so one does not have to face the daily problem of traffic congestion. Thus, I think, the government should encourage the public to switch to apartments,” he told the media. He further said that apartments in various price ranges, catering to the middle- and upper-classes, were available. A number of other developers besides Agung Podomoro are in the midst of constructing superblocks for efficient lifestyle for the people of Greater Jakarta. According to research conducted by Cushman & Wakefield Indonesia, there is an increased supply of apartments. Along with the country’s positive economic condition, developers are rushing to launch new condominium projects, some of which were planned in 2010. “The market is still able to absorb the additional number of units, albeit at a slower pace,” said Arief Rahardjo, associate director, research and advisory. 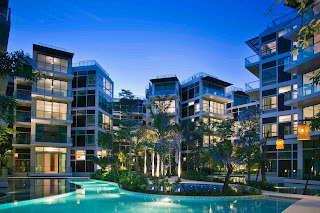 The cumulative total of condominiums built in the second quarter of 2011 increased by 81,797 units with the completion of Royal Mediterania ( Lavender Tower) and The Park Residences. Meanwhile, the completion of Latumeten Tower, City Garden and Casablanca East Residence brought the cumulative total of modest apartments to 17,164 units. New projects launched this quarter are Sherwood Residence, Green Bay Seaview (Tower K) and Pluit Seaview in North Jakarta; The New Ambassador Suite tower, a complex comprising St. Moritz and Sky Terrace in West Jakarta; Admiralty Apartment in Fatmawati, South Jakarta; Enviro Apartment Jababeka and Grand Centerpoint in Bekasi; and Serpong Greenview in Tangerang. These projects add to the number of future condominiums to become 41,439 units and a total supply of modest or low-cost apartments to become 26,706 units. Recently launched projects are mostly outside the CBD, especially in South Jakarta, North Jakarta and West Jakarta, as well as in areas outside Jakarta itself, such as in Bekasi and Serpong. 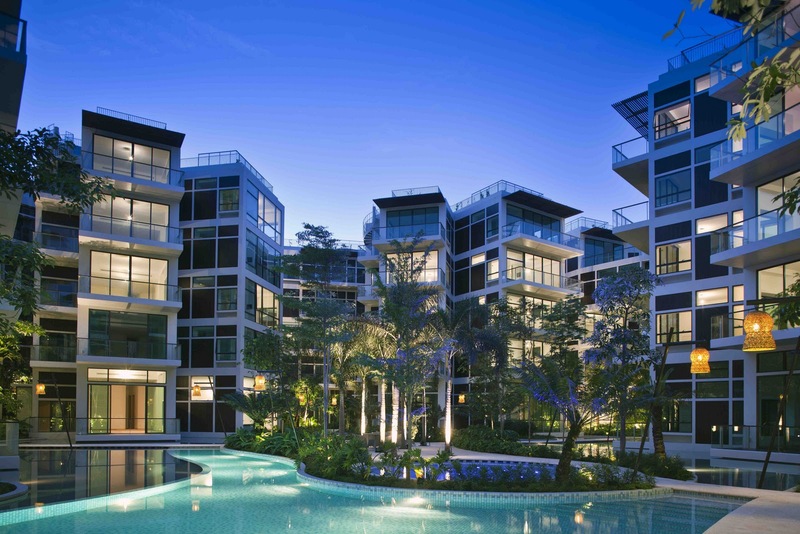 The percentage of condominiums sold is 94.9 percent, which is relatively the same as in the previous quarter, but the number of units has increased by 8.9 percent compared to the same period in 2010. The total number of units sold is 77,627. The presales level of future condominiums is 62.4 percent, which is an increase of 2.8 percent compared to the same period last year, meaning 25,871 units have been sold. Middle- and upper-class condominiums have the highest presales level, that is, 64.7 percent and 62.5 percent, respectively. According to Arief, the growing number of condominiums has resulted in a decreased occupancy rate of leased condominiums. The occupancy rate has gone down from 64.3 percent in the second quarter of 2010 to 63.1 percent in the third quarter of this year. However, along with the improved economy, demand is still strong. “Most of the demand for serviced apartments and leased apartments is from local business tourists and government offices, although the majority of the tenants are still expatriates,” said Arief. The demand for leased apartments has increased since the previous quarter as the occupancy rate has gone up from 72.2 percent in the first quarter to become 79.7 percent in the second quarter. Similarly, there has been an increase in the occupancy rate of serviced apartments, currently 75.3 percent, which is an increase of 1 percent quarter-on-quarter or 4.6 percent year-on-year. However, the occupancy rate of condominiums in Jakarta went down slightly from 65.4 percent to 65.3 percent in the second quarter of this year due to increased supply. There has been a new supply of serviced apartments in this quarter, that is, 112 units from Bellezza Suite and 30 units at Aston Marina, bringing the total number of serviced apartments in the second quarter to 3,889 units.